Inkjet materials deposition can be used in R&D and production of a wide range of devices in the large area electronics field. It can be used to deposit conductors, dielectrics, resists and other materials on a wide range of substrates, with a resolution and accuracy of 10's of microns and the capability to align to previously-deposited device layers. The process is inherently scalable from R&D to large scale production using the same print heads and process (if required in a different configuration, or on a different machine platform). As a fully digital process, flexibility and economical production are two of the key advantages of inkjet. An inkjet tool can print different structures, one after the other, simply by changing the input files. 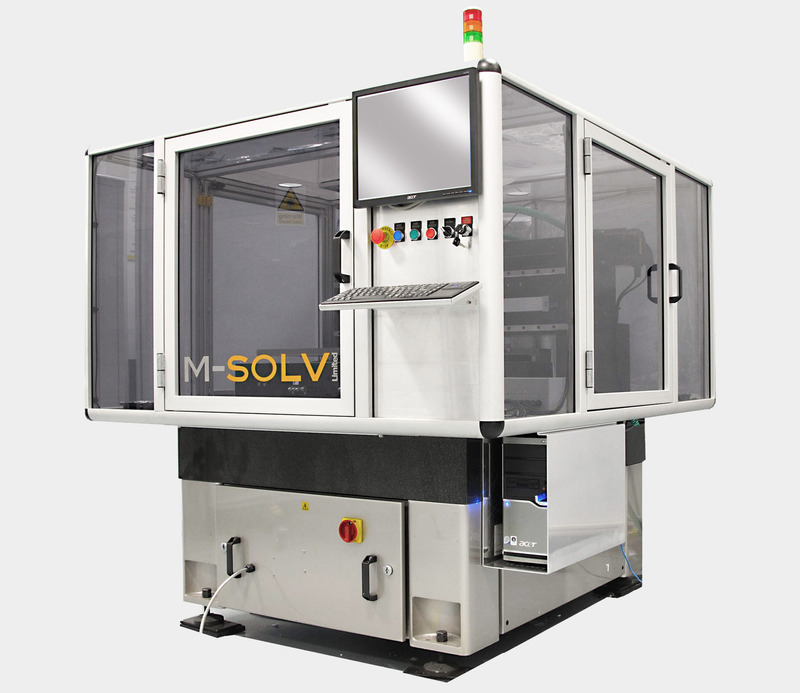 The additive nature of industrial inkjet complements M-Solv's laser technology and is highly applicable to large area electronics as often the number of process steps can be reduced, compared to more conventional technologies such as photolithography. M-Solv has considerable experience in developing functional printing processes and use this knowledge to help and advise our customers to achieve their goals using inkjet in production. 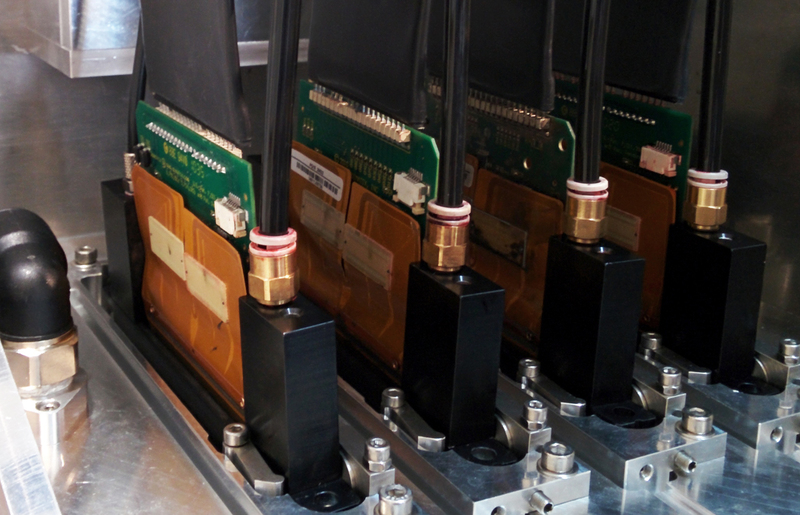 Our business is to develop processes and/or machines for applications from R&D to full production in an open and considered way, working with the customers to ensure the desired outcome. This development is typically based on the Fujifim Dimatix print head series and includes investigation of inks and substrates, substrate preparation, vision systems, curing systems and the enclosure and fume extraction. All of these must be considered to control the process technology and to ensure its safety.